Rachel is an Associate in the Family Law Service at Charles Russell LLP based in the firm’s Guildford Office. Charles Russell’s family team is within the magic circle of family lawyers and advise on domestic and international family law. Rachel relocated to the South East in September 2012 having practiced with a niche family law firm based in Newcastle-upon-Tyne and North Yorkshire. Rachel specialises exclusively in family law and advises on all matters including divorce, civil partnership dissolution, pre-nuptial agreements, cohabitation and matters involving children. 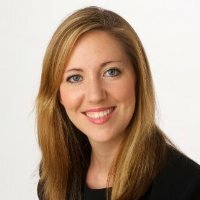 Rachel also has particular experience with high net worth financial cases, enforcement of matrimonial orders, cross jurisdictional maintenance disputes and appeals against the Child Support Agency. Rachel can be contacted by email at rachel.donald@charlesrussell.co.uk.